BlackBerry shares saw an uptick on the news. BlackBerry said a licensing deal it signed with low-end Android handset maker BLU Products will bring it recurring revenue, ending a legal dispute over patents that rival Google has asked the U.S. government to revoke. BlackBerry did not disclose financial terms and its shares were little changed after the news, rising 0.5% in late Thursday morning Nasdaq trade. BlackBerry (BBRY, +2.18%) filed two lawsuits against Miami-based BLU in June 2016, part of an effort by the Canadian company to generate revenue from its trove of technology patents. Alphabet’s Google (GOOGL, +0.66%) responded to lawsuits against a maker of phones running its Android operating system by challenging six of the patents at the U.S. Patent and Trademark Office. In late August and early September, a patent office appeal board said that Google had a “reasonable likelihood” of winning the invalidation of four patents in a full review. The deal between BlackBerry and BLU was likely secured prior to a July 19 memorandum of understanding filed with the court hearing their patent dispute. The two firms have declined to disclose financial terms of that agreement. BlackBerry Chief Executive Officer John Chen said on a Sept. 28 earnings call that his company had received revenue from BLU, but did not elaborate. It was not clear if that payment was included in that quarter’s earnings, which beat analysts’ forecast on a jump in licensing fees that includes patent payouts and royalties on BlackBerry-branded devices and software sold by others. Patent licensing deals are typically structured with an upfront payment to cover past sales and ongoing royalty payments tied to future sales. Market intelligence company IDC estimates that BLU accounts for less than 1% of global smartphone market share. BlackBerry said in its statement on Thursday that the completion of the BLU deal allows it to focus on other licensing targets in the mobile communications industry. “Anytime you have royalty-bearing licenses, you are setting a market rate,” said David Pridham, chief executive of Dallas-based patent consulting firm Dominion Harbor Group, which recently analyzed BlackBerry’s patent portfolio on behalf of a group of handset manufacturers. “Doing so with a smaller player will be helpful as BlackBerry turns its attention to larger market incumbents,” he said. Two senators are pushing a robocaller to explain how he ran his operation, which was subject to the largest-ever fine handed down on the matter by the Federal Communications Commission (FCC). Senate Commerce Committee Chairman John Thune (R-S.D.) and Chairman of the Senate Subcommittee on Consumer Protection Jerry Moran (R-Kan.) sent a letter to Adrian Abramovich on Wednesday, asking him to explain how his robocalling operation worked and what he’s doing to mitigate any harm he may have caused. In June, the FCC fined Abramovich $122 million for his robocall company, which allegedly conducted almost 100 million illegal automated calls attempting to lure individuals into buying vacation packages and timeshares. In Thune and Moran’s letter, they pressed Abramovich to explain how he started making robocalls, a record of all robocalls his business made and relationships he or his businesses had with third-party contractors. 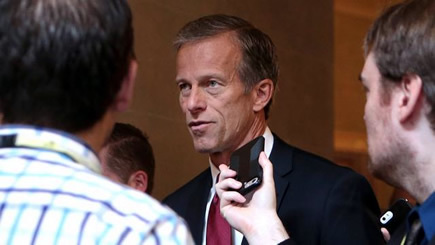 Thune suggested that the FCC’s actions on the matter may help him and other lawmakers in taking action against robocallers in the future. “For lawmakers, the FCC’s identification of an alleged spoofing mastermind offers the opportunity to learn specific information about operations, partners, and the business model, which may provide valuable insight for future legislation,” Thune said. — Harper Neidig contributed to this report. Oh yes . . . I almost forgot. As far as I know only one reader went berserk and cancelled his subscription after reading “My Personal Opinion” editorial last week on gun control. We don't have to agree on every issue to remain friends. 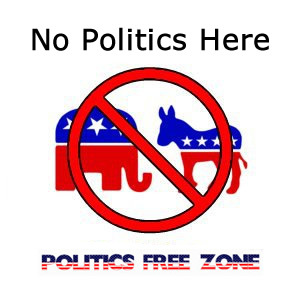 Diversity in beliefs, opinions, and political views make life much more interesting. Prejudice, intolerance, racism, and hate only allow people to remain ignorant and unhappy. We are all entitled to our own opinions and this is mine. 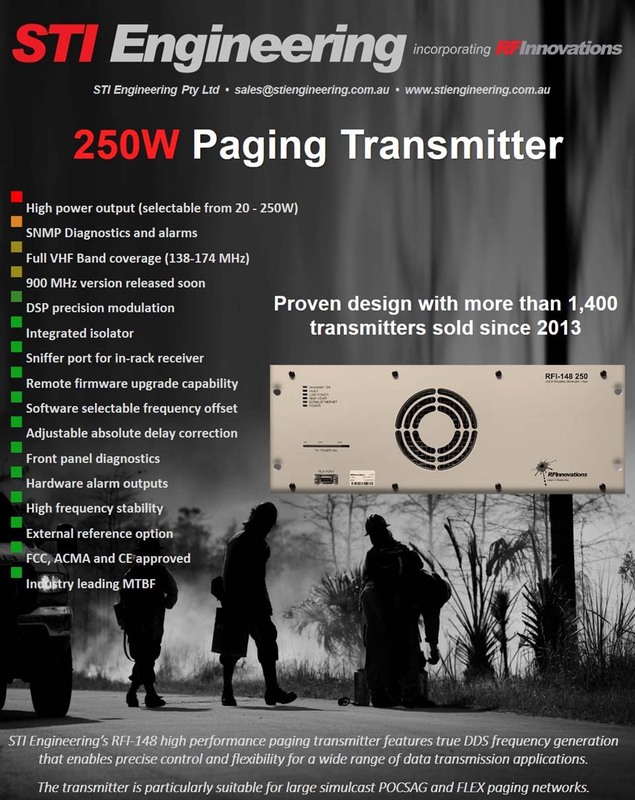 The Ministry of Defence has signed a three-year contract worth almost £400,000 with a specialised provider of pager communications. The department has inked a deal that will see Capita-owned company PageOne provide “paging and messaging services”. The west London-based firm specialises in secure paging technology and services for corporations and the public sector. 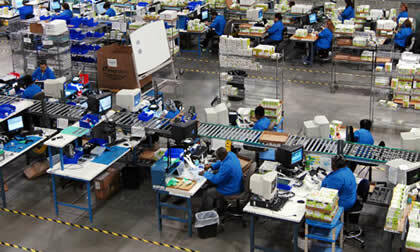 It also provides customers with SMS, mobile email, and landline telephony offerings. The contract, which is valued at £382,000, kicked off last month, and runs until September 2020. 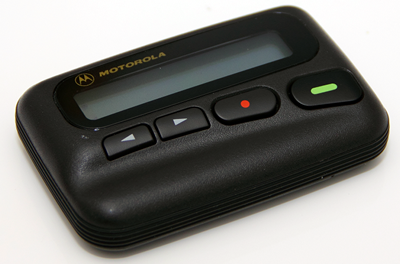 Although invariably thought of as an emblem of the 1980s, pagers are seemingly still in vogue in the UK public sector. A month ago, it emerged that 93% of the devices still active in the UK — and about one in 10 of the worldwide total — are owned by the NHS, with the average hospital operating a fleet of about 600. Lewis County officials are considering a system that would allow residents to send 911 text messages to the dispatch center in the event of an emergency. LOWVILLE — Lewis County officials are looking to add the capability to accept 911 text messages in the event of an emergency, possibly as soon as next spring. “There are places in the county where you can’t call but you can text,” Jerry H. King, R-West Leyden, chairman of the legislative Courts and Law Committee said during a meeting Thursday. Committee members by a 3-0 vote approved a proposal from county 911 Operations Coordinator Cheryl A. LaLonde to upgrade the dispatch telephone system to allow people to send text messages to dispatchers during emergency situations. “I have grant money to cover it,” Mrs. LaLonde said. The text-to-911 system would require a $3,000 hardware upgrade through telephone provider Airbus and an additional $1,450 in annual fees, all of which could be taken from state funding for the dispatch center, she said. County attorney Joan E. McNichol will still need to review contracts for the upgrade project, and the full Legislature will need to approve those, likely at their Nov. 7 meeting. While accepting 911 text messages may not be considered a necessity, the industry is certainly moving in that direction, Mrs. LaLonde said. Mrs. LaLonde said there could be some situations, like domestic disputes, where the victim could more easily and discretely contact dispatchers by texting rather than calling. Since dispatchers already have six screens to monitor, it makes more sense to include texting with the phone service than add an extra screen, she said. If approved by county legislators, the hardware upgrades could still happen later this fall, but the new system likely would not be able to be activated until spring, Mrs. LaLonde said. St. Lawrence County implemented 911 texting last year, and officials in Jefferson County are also considering that service addition. Mr. King also reported that ongoing pager issues with the emergency radio system have improved, but officials from provider E.F. Johnson Technologies Inc. are to do more work here next week. The system went online in November 2015, but county officials are waiting to sign off on the project — and release the final portion of project funding — until all outstanding issues are rectified, he said. The radio project was partly funded through a $6 million state Homeland Security grant, and the county has already paid off its roughly $5 million share after setting aside money from county reserves for the past few years. The new dispatch system, Intergraph Mobile for Public Safety, is being installed on laptop computers in police cars. (TNS) — The Memphis Police Department is working to build up a short-staffed police force, and in the meantime, the department's director of emergency communications hopes that a new dispatch system will help police answer calls more quickly. The system uses global positioning system technology to show dispatchers and police officers exactly where squad cars are located and what kind of calls they're handling. The new system should make it easier for dispatchers to respond to calls by sending the police cars that are closest, said Emergency Communications Administrator Michael Spencer. Today it's not uncommon to hear dispatchers on police radio reeling off long lists of calls that have been holding for a long time. They're often low-priority calls, like citizens making reports of crimes, Spencer said. As of this month, the police department has 1,981 sworn officers—well short of its full complement of 2,400. 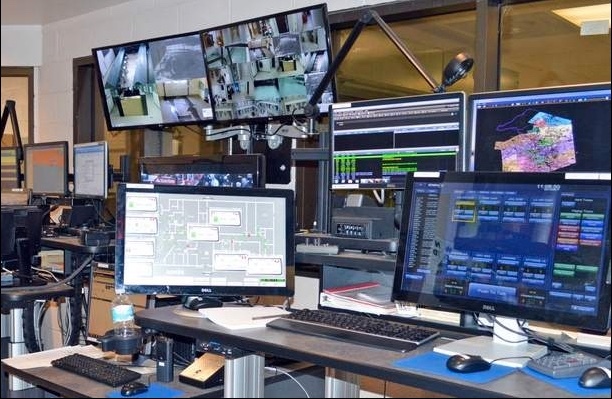 The current Memphis police dispatch system is based on radio voice communication between dispatchers and officers in the field. The dispatch office can plot the locations of individual police cars on a computer screen, but the only way that a dispatcher knows the location of a police car is if the officer reports his or her location, as in "I'm at 201 Poplar," or "I'm at Hickory Hill and Winchester." This has some drawbacks, Spencer said. When a call comes in, the dispatcher might not know which car or cars are closest. And if a police officer runs into an emergency — say an ambush by a suspect — the officer can press a radio button that emits an emergency tone, but no other information, Spencer said. It could be exceedingly difficult for other officers to find the officer in trouble. Under the new system, other officers can easily see where the emergency call is coming from, he said. "Really our big takeaway is officer safety and just knowing where our units are at if they need help." The computer system can give officers turn-by-turn directions to the emergency call, and it can also show the officer the history of calls at that location, Spencer said. The computerized system makes it much easier to share information, he said. Take for instance a police officer who responds to a report of a missing child. The police officer can use a handheld device to copy a family photo of the child, upload it to the computer system, and quickly send it out to other officers across the city, he said. The new Intergraph software is part of a $2.2 million upgrade paid for with state 911 funds, Spencer said. The software is being installed in the roughly 480 Memphis police cars that have laptops, he said, adding that the number of cars with laptops is expected to increase as older cars are rotated out of the fleet. At least one other Memphis-area law enforcement agency uses similar software. Collierville uses a similar system from the company TriTech Software Systems, said department spokesman Lt. David Townsend. The system is used to dispatch both police and fire vehicles, and lets dispatchers see through GPS which units are closest to a call. And the software also allows officers to submit reports from the field, rather than driving back to the station to complete paperwork. “It keeps officers in the field patrolling more,” Townsend said. Earlier this month, Gwen Walker senior technical instructor with Hexagon, the company that sells the Intergraph product, was demonstrating the system at Crump Station in Downtown to officers who will in turn teach others. She showed them how the officers in the cars can find the location of nearby police cars — and they can also find out which individual officers are in those cars, and send them messages. The officers can also use the system to check license plates. The police department still has some glitches to work through. During the Intergraph training session, for instance, one officer's laptop computer repeatedly gave him global positioning system directions, even though he hadn't asked for them. Many emergency departments around the country use Intergraph software, and it hasn't always worked smoothly. In Tacoma, Washington, for instance, hundreds of officers rushed to respond on Nov. 30, 2016 when Officer Reginald “Jake” Gutierrez was shot, and the system froze, The News-Tribune newspaper reported. Some emergency workers there complained about chronic problems with the software, the newspaper reported. Complaints have also been raised in other cities, including New York, where the fire department decided to drop Intergraph software and revamp its dispatch system on its own. Efforts to reach a representative of Madison, Ala.-based Hexagon weren't immediately successful Tuesday. Memphis has worked closely with Hexagon to make sure that it's using the software in a way that allows it to work well, Spencer said. "We've just been really careful, crossing our T's and dotting our I's. Taking our time," Spencer said. 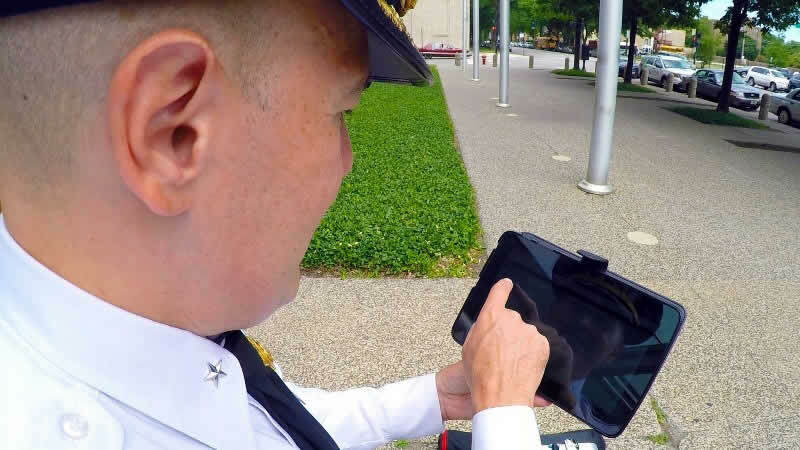 The department intends to test the system extensively among officers with the Crump Station precinct before rolling it out to other precincts, he said. "We're just baby-stepping into it." He also said the department still plans to do some communications by voice over the radio. Oroville >> When the Red Cross signaled it would open a evacuation center in Oroville for the Cherokee and La Porte fires, there was a small band of volunteers that may have not been noticed. They were hauling boxes of equipment to a back room at the Church of the Nazarene. They were part of the Golden Empire Amateur Radio Society, providing communication capabilities to the Red Cross. Whenever the Red Cross establishes a evacuation center, the ham radio society sets up. It helps with communication between the Red Cross operations, centers and headquarters. GEARS is part of the American Relay League. The process was repeated in February during the Oroville Dam spillway crisis, in July with the Wall Fire, in August with the Ponderosa Fire, and now with the Cherokee and La Porte fire. Volunteers donated more than 500 hours of service during those local emergencies. 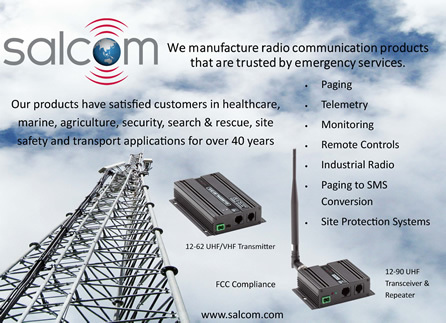 “We provide emergency communications for the Red Cross. When the Red Cross opens a shelter, we set up,” said Kris Koenig, who is involved in the program. More about ham radios is available during a youth-oriented workshop the organization is having 1-3 p.m. Saturday at Gateway Science Museum, 625 The Esplanade in Chico. Often times when other forms of communication fail, the ham radio gets through. The nonprofit organization is trying to extend its broadcast area, and Deer Creek Broadcasting is willing to donate space on two towers in Butte County, in Cohasset and Forbestown. But the nonprofit needs additional equipment. GEARS is hoping to raise $15,000 to cover the additional cost of equipment and volunteer training, and has made an application to the North Valley Community Foundation in Chico. It also hopes to generate interest throughout the community for donations, especially with the outcropping of fires all around. GEARS president Larry Marcum notes that donations can be dropped off during the Saturday workshop at Gateway Science Museum in Chico. 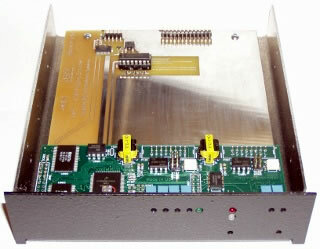 Contact can also be made through e-mail, gearsw6rhc@gmail.com. 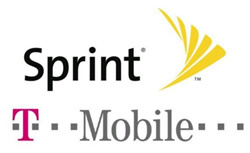 UPDATE Reuters reported that when Sprint Corp and T-Mobile U.S. Inc bring their expected merger plans — agreed upon in late September — to the U.S. Department of Justice for antitrust review, the staff will likely recommend putting a stop to any further plans. Inside Towers previously reported on the current merger talks, which aren’t new. Three years ago, Sprint and T-Mobile discussed a deal, but the former abandoned it, due to opposition from U.S. antitrust regulators. Presently, the Justice Department’s main concern is how the deal between the third and fourth largest U.S. wireless carriers will affect competition in the U.S. mobile sector. Currently, the U.S. wireless market is dominated by Verizon with about 146 million wireless customers and AT&T with nearly 135 million. The deal will also test the antitrust enforcement under the Trump administration. T-Mobile positions itself as the fastest-growing wireless company in the U.S. and if teamed with Sprint, they’ll own more than half (56 percent) of the market for pre-paid plans, favored by people with little or poor credit. “Losing that head-to-head competition could drive up prices for those on a more limited income,” said Gene Kimmelman, president of Public Knowledge, a consumer advocacy group. According to an informal poll of seven antitrust experts contacted by Reuters, results were split between whether the deal would be stopped or allowed; only a tiny fraction of deals are blocked. Regarding the future of the merger, the final decision will come down to antitrust enforcer at the Justice Department, Makan Delrahim, and the FCC. According to an indictment unsealed last Thursday in Virginia federal court, four men have been charged with operating a kickback and bribery scheme that involved the Department of Defense’s Office of Inspector General and $15.7M in fraudulent payments, reports Law360. William S. Wilson of Florida, 52, Timothy R. Donelson of Georgia, 56, Ronald A. Capallia of Alabama, 37 and 42-year-old employee of the Office of the Inspector General, Matthew Kekoa LumHo of Fairfax Station, were named as defendants in the indictment. Donelson and Capallia were employed at a telecommunications company that was awarded a contract entitled the Washington Interagency Telecommunications System, to provide data and voice services to the Department of Defense’s Office of Inspector General, reports Morningside Maryland. Donelson awarded subcontracts to Wilson’s companies to provide information technology-related support, even though that was not their area of expertise. Wilson’s two companies were unnamed in the indictment but provided construction services related to the installation of fiber optic cables and cell phone towers, prior to the scheme. Donelson and Capallia were paid hundreds of thousands of dollars via false business invoice and payroll payments, vehicle payments, vacations and babysitting services for providing Wilson with special treatment in connection to the government contract, according to Law360. Wilson also allegedly paid tens of thousands of dollars in bribes to LumHo, to issue fraudulent service orders filled by one of Wilson’s companies at inflated prices. The government was billed for supplies ordered from Wilson’s company. Allegedly, Wilson arranged for one of his firms to make payroll payments to LumHo’s father-in-law, who was never an employee. In total, the ploy generated more than $15.7 million in revenue for Wilson’s companies and co-conspirators. All four men have been charged with wire fraud, and conspiracy to commit wire fraud, which hold a maximum sentence of 20 years in prison. Prosecutors said Wilson, Capallia and LumHo have been charged with False Claims Act violations; a maximum penalty of five years in prison. Wilson is charged with bribery and LumHo with accepting bribes, charges that both carry maximum penalties of 15 years in prison, reported Law360. UPDATE After wildfires torched homes and burned landscapes in some of California’s most popular regions, one county may be rethinking its decision not to use a wireless emergency alert service to warn residents of impending danger. 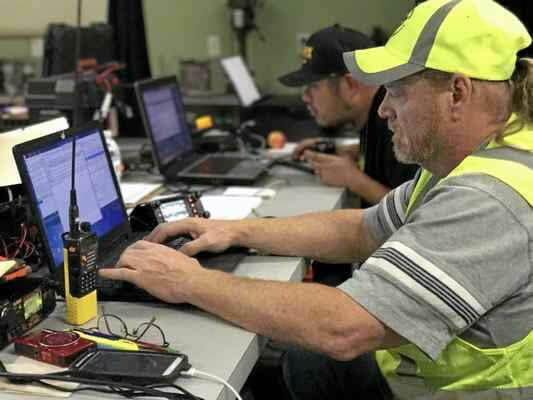 Instead of utilizing a system that would broadcast warnings to all cell phones connected to towers in the region, Fox News says Sonoma County officials decided to implement a service that would send text messages to a much smaller number of people. Sonoma County spokeswoman Jennifer Larocque said leaders were afraid the broad reach of the Wireless Emergency Alert would excite unnecessary evacuations even if people were connected to towers in the area. Although 77 towers were knocked out of service by multiple wildfires across the state, the California Office of Emergency Services indicated 64 were already back in service. Carriers worked desperately to reinstate wireless services so families could connect with loved ones affected by the flames. Heidi Flato, a spokeswoman for Verizon, explained Cell On Wheels (COWs) are playing an important role in getting wireless networks operational again. She said, "For instance, at the Sonoma County Fairgrounds in Santa Rosa, we've got a COW set up there. We know there are a lot of people between emergency services and displaced residents, we want to make sure they've got good coverage and enough network capacity to keep everyone connected." Other carriers are using similar equipment to replace damaged or destroyed towers, or provide service where fires are still burning. According to Capital Public Radio, emergency officials said some towers are off limits to repair personnel, due to their close proximity to fires still burning. As part of the FCC’s upcoming Mobility Fund Phase II auction process, all companies that previously reported LTE coverage on FCC Form 477 of any kind (i.e., “qualified” or not) will be required to respond to a 4G data collection in early 2018. Although the actual data responses are not due until January 4, registration in the data collection system is required by October 23. 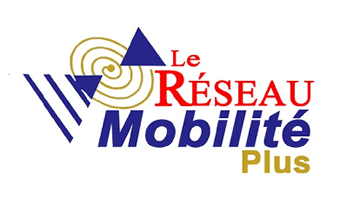 In preparing for Phase II of the Mobility Fund, which will make available $4.53 billion over a term of ten years to provide ongoing support for the provision of service in areas that lack adequate mobile voice and broadband coverage, the FCC recently issued a Public Notice with instructions for a one-time collection of 4G LTE coverage data to determine areas presumptively eligibility for MF-II support (i.e., rural areas that lack unsubsidized 4G LTE service). Pursuant to these instructions, all companies that previously reported LTE coverage on FCC Form 477, and that have “qualified” 4G LTE coverage, are required to provide the FCC with coverage maps in shapefile format, as well as other information discussed below. Entities that previously reported LTE coverage on FCC Form 477 but who do not have qualified 4G LTE coverage must also respond and certify that their coverage does not qualify. “Qualified” 4G LTE coverage as specified by the FCC has download speeds of at least 5 Mbps at the cell edge with 80 percent probability, and a 30 percent cell loading factor. The FCC last Friday issued a Public Notice (DA 17-975) setting January 4, 2018 as the deadline for the 4G LTE data collection. Of more immediate concern, however, is the October 23, 2017 deadline for subject entities to register for the 4G LTE data collection by submitting their contact information using the online form at: https://www.fcc.gov/MF2-LTE-Collection. We are available to assist our clients with the registration process, which must be completed within the next two weeks. At this stage, the LTE Data Collection Contact Info Form requires that you identify and provide contact information for two points of contact about the required data. For the latter, we urge clients to include the name and contact information of a BloostonLaw attorney (e.g., Cary Mitchell, 202-828-5538, cary@bloostonlaw.com or John Prendergast, 202-828-5540, jap@bloostonlaw.com) as your company’s primary or secondary contact, and to let us know that you are including us as a contact. Using our law firm as a contact will ensure that we have access to your Form 477 data and coverage files, which will allow us to assist in the event of technical problems or FCC staff questions; and if we serve as the primary contact, it acts as a “buffer” so that the company can carefully evaluate and prepare its response to any inquiry. We will be available to review and submit the LTE coverage data due in January, once it is complete. Because of the level of detail required, and complexity of the coverage data (which is not unlike a 700 MHz geographic construction notification), we strongly urge our law firm’s clients to line up qualified RF engineering support as soon as possible. On October 4, the FCC issued an Order, on its own motion, making up to $76.9 million immediately available for the restoration of communications networks in Puerto Rico and the U.S. Virgin Islands. Specifically, eligible telecommunications carriers (ETCs) operating in Puerto Rico and the U.S. Virgin Islands may, consistent with their statutory obligations, use high-cost universal service support that they are currently receiving in order to repair and maintain telecommunications infrastructure damaged by Hurricane Maria. Such ETCs may also elect a single advance payment of up to seven months of high-cost support to assist with their immediate needs and anticipated large repair costs in restoring their communications networks. By way of background, when the FCC adopted the Connect America Fund, it preserved the discretion to maintain existing support levels for price-cap carriers serving non-contiguous areas of the United States if the model did not provide these areas with sufficient support. Puerto Rico Telephone Company (PRTC), which operates in Puerto Rico, and Vitelco d/b/a VIYA (VIYA), which operates in the U.S. Virgin Islands, both elected to continue receiving frozen support instead of model-based support, and continue to receive annual high-cost support of approximately $36 million and approximately $16.3 million, respectively. According to the FCC, since PRTC and VIYA did not elect to receive model-based support, they do not have specific obligations to deploy broadband to a certain number of locations each year. Instead, they need only annually certify that “all frozen-high cost support the company received in the previous year was used to build and operate broadband-capable networks used to offer the provider’s own retail broadband service in areas substantially unserved by an unsubsidized competitor.” Therefore, the FCC reasoned, until an unsubsidized competitor can provide service, the rule does not prohibit these companies from using high-cost support in the areas they service. In other words, all of Puerto Rico and the U.S. Virgin Islands is presumptively unserved by unsubsidized competitors, and that presumption will end once an unsubsidized competitor of PRTC or VIYA informs the Bureau that it serves the area. At that point, PRTC or VIYA will have 60 days to wind down use of high-cost support in the identified area. On October 9, the FCC’s Public Safety and Homeland Security Bureau announced that, at the request of the Federal Emergency Management Agency (FEMA), the FCC has deactivated its Disaster Information Reporting System (DIRS) for Hurricane Nate. Communications providers do not need to provide any additional reporting in DIRS in connection with this event. The FCC published its final daily communications status report for Hurricane Nate today, October 9. Companies that have been providing information for Hurricane Maria in Puerto Rico or the U.S. Virgin Islands are asked to continue to update the reports for Hurricane Maria until DIRS is deactivated for Hurricane Maria. BloostonLaw Contacts: Ben Dickens and John Prendergast. On October 6, the FCC issued an Order in which it waived, on its own motion, certain E-rate, Rural Health Care (RHC), Lifeline, and contribution rules and deadlines to assist schools and libraries, RHC and Lifeline Program participants, and contributors located in the areas affected by Hurricanes Harvey, Irma, and Maria. Requests for review or waiver of decisions by USAC, directed to USAC or the Commission. Filing FCC Form 486 (Receipt of Service Confirmation and Children’s Internet Protection Act Certification (CIPA) Form). Filing FCC Form 472 (Billed Entity Applicant Reimbursement (BEAR) Form) and Form 474 (Service Provider Invoice Form). 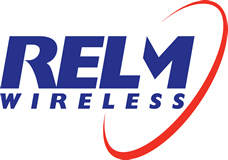 The FCC also extended the FY 2016 implementation deadline for non-recurring services, other than special construction, to September 30, 2018 for applicants in the Affected Disaster Areas, and the June 30, 2018 deadline to complete special construction and light the new fiber until June 30, 2019, subject to the applicant filing a valid FCC Form 500 certifying that construction for the special construction project was unavoidably delayed due to damage caused by the Hurricanes. Finally, the FCC waived its rules on records retention for destroyed records. Normally, schools, libraries, consortia, and service providers to retain all documents related to their application for at least 10 years. Filing FCC Form 463 (Healthcare Connect Fund (HCF) Program Invoice and Request for Disbursement Form). FY 2016 Annual Report Questionnaire by consortia under the HCF Program. The FCC also waived its record retention rules with respect to destroyed records. Normally, health care providers and service providers are required to retain all documents covered by those rules for at least five years. Applicants and service providers are responsible, however, for obtaining such records, where available, from a third party upon request by USAC or the Commission. Sections 54.405(e)(3) and 54.407(c)(2), which require ETCs must de-enroll Lifeline subscribers who do not pay a monthly fee for their Lifeline-supported service and do not use that service for 30 consecutive days. At the expiration of the waiver period, Lifeline subscribers who are subject to the non-usage rule will have 30 days to use their Lifeline service for the purposes of section 54.405(e)(3) of the Commission’s rules. Sections 54.405(e)(4) and 54.410(f), for ETCs with subscribers whose service anniversary dates fall on or between September 7, 2017 and February 28, 2018. The Lifeline port freeze rule. The waiver will permit subscribers to apply their Lifeline benefit to a different Lifeline provider even if they would otherwise be prohibited from doing so due to section 54.411 of the Commission’s rules. At the expiration of this waiver period, subscribers will be subject to the port freeze requirements of section 54.411, as measured from the date of that subscriber’s latest Lifeline enrollment or transfer. The 45-day revision deadline for Form 499-Q filings made on August 1, 2017, as well as for the upcoming Form 499-Q filing due November 1, 2017. Section 54.713(c), which provides for assessing late fees on Form 499-Q filings made after the upcoming November 1 deadline. Section 54.713(b), which includes interest and penalties; Red Light status for debts that became delinquent after between the effective date of the Order and January 2, 2018; and the transfer to Transfer for collection of any debts incurred. We note that the contributions exemptions only apply to carriers with headquarters in Affected Disaster Areas. On October 11, the FCC issued a Press Release announcing that it has imposed a fine proposed against a New York City resident for operating a radio transmitter on frequencies that the Commission has licensed to the New York Police Department (NYPD), causing interference with the NYPD’s radio system. The individual, Jay Peralta, has been fined $404,166 for this conduct. Specifically, from April through August 2016, Mr. Peralta transmitted threatening messages directed at NYPD officers. These messages included false bomb threats and false officer-in-distress calls to NYPD dispatchers. The NYPD provided the FCC with a written statement by Mr. Peralta, who is currently in custody pending a trial for related charges, in which he acknowledged making nine unauthorized transmissions on the NYPD’s radio system. 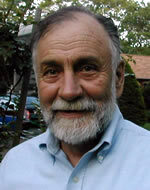 The FCC provided notice to Mr. Peralta in April and, receiving no response, officially adopted the fine. The FCC has denied TerreStar Corporation’s request for waiver of the requirement that it demonstrate substantial service by April 23, 2017. The upshot of this cancellation of TerreStar’s licenses is that the 1.4 GHz spectrum should again become available for auction. The spectrum is only 7 MHz in total, but would be available for licensing throughout the nation. 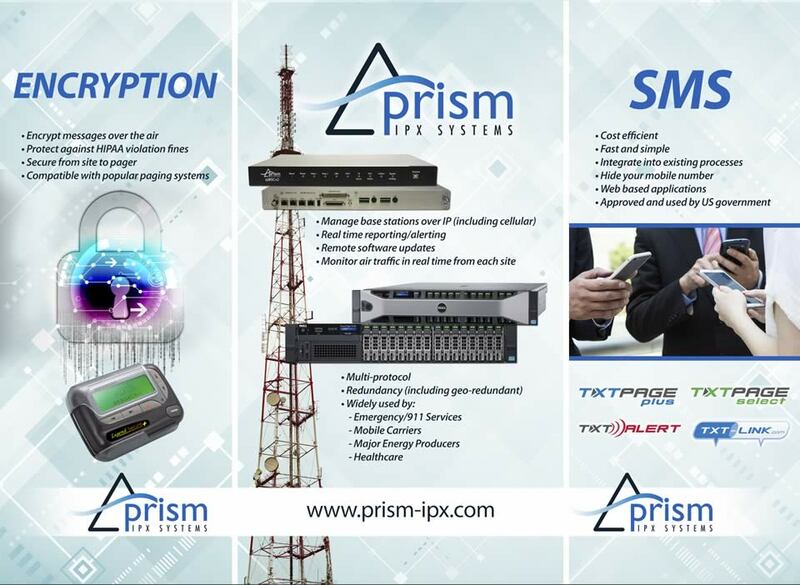 Licensees may provide both fixed and mobile services including wireless internet, high speed data and advanced two-way mobile and paging services. The FCC auctioned 64 licenses, which were comprised of 52 Major Economic Areas (MEA) and 12 paired Economic Area Grouping (EAG) licenses. If these same license sizes were to be used, it would limit the pool of potential bidders once again. Fortunately, most of the government users of this band were supposed to vacate the spectrum by 2009. TerreStar holds all of the 1.4 GHz licenses, and sought a three-year waiver of the FCC’s requirement until April 23, 2020 in order to enable commercial wireless medical telemetry on its 1.4 GHz band spectrum on a nationwide basis. 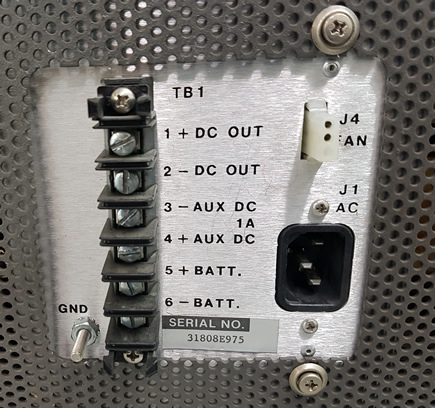 In this regard, Terrestar argued that it could not timely construct its planned WiMAX network due to the potential for interference that a WiMAX system could cause to the Wireless Medical Telemetry Service (WMTS), as well as other entities operating in adjacent frequency bands. Because of this concern, TerreStar determined that it would instead supplement existing medical telemetry services within healthcare facilities by offering these services over its unpaired spectrum and Upper A and B-Block spectrum, and establish a new telemetry service in its Lower A and B-Block spectrum – with the lower blocks being used for research and development. In reviewing TerreStar’s request, the Commission made clear that requests to waive a performance requirement must “meet a high hurdle at the starting gate” and that the waiver standard must be applied in the context of the Congressional mandate which requires the Commission to utilize construction performance requirements in order to ensure that spectrum is put to use and not stockpiled or warehoused. In this light, the Commission noted that rule waivers or extensions would not be routinely granted. The FCC’s rules provided Terrestar with the entire license term to construct and demonstrate substantial service – meaning that its service was “sound, favorable and substantially above a level of mediocre service which just might minimally warrant renewal.” The Commission noted that for much of the license term, TerreStar had not used any of its spectrum, having chosen a business plan that it ultimately came to believe could not be implemented without causing harmful interference to other adjacent channel users. It was only in the last year that TerreStar abandoned its initial business plan and pursued alternate strategies that would require a different buildout approach. In this regard, the Commission noted that TerreStar was on notice that it was obligated to protect adjacent channel users. Because it appears that Terrestar’s failure to meet it construction performance obligation was not beyond the control of TerreStar, the Commission denied the waiver request and determined that an extension of the construction period was not warranted in this case. It is important to note that the FCC takes its construction requirements seriously – whether the license is a geographic area license awarded through spectrum auctions or a site-based license. In both cases, the Commission will take a hard look to make sure that licensees have demonstrated due diligence and that the failure to meet the construction deadline was for reasons below the control of the licensee. The FCC granted a six-month Experimental STA to Loon, Inc., a subsidiary of Alphabet (Google’s parent company) to help provide emergency cellular service in hurricane-devastated Puerto Rico and the U.S. Virgin Islands. Our clients should be familiar with Project Loon. It is an ongoing research and development project developed by X (formerly Google X) whose mission is to extend Internet access to rural and remote areas using transceivers (i.e., cell sites) and directional antennas that are mounted on a network high-altitude balloons. The airborne network operates in the stratosphere (at an altitude of 65,000 feet, or approximately 11 miles), and the 4G LTE infrastructure is capable of providing service to ground stations or LTE users. The STA application, which was filed with the FCC’s Office of Engineering and Technology on October 6 and granted that same day, says the STA is needed “to support licensed mobile carriers’ restoration of limited communications capability in areas of Puerto Rico and the United States Virgin Islands (MTA025) affected by Hurricanes Irma and Maria.” Grant of the STA (under Call Sign WL9XWQ) gives Loon the authority to deploy as many as 30 balloon-based and solar-powered eNodeB’s that will communicate with end users using 900 MHz mobile radio frequencies. An exhibit filed with the STA application includes consent letter from all license holders for the frequencies 896.901.3 MHz and 937.094.20 MHz in Puerto Rico and the US Virgin Islands. 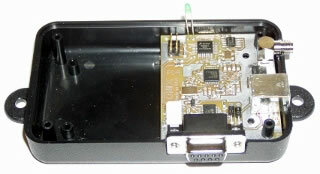 The STA application reports that end user wireless devices would operate at power levels consistent with Band 8 in the European Union, a modification that in some cases will include a temporarily update to the software on an end-user’s device through an Over the Air (OTA) update to allow Band 8 operation, and that at the end of the authorization, a separate OTA update would disable this operation. In a report issued last week, the FCC said 83 percent of cell sites in Puerto Rico are still out of service, along with 57 percent in the US Virgin Islands and 100 percent in St. John. It also took the step of creating its Hurricane Recovery Task Force that will work on restoring services to the islands. Oct. 23 – Deadline to register for 4G Data Collection. Oct. 26 – Comments are due on Intercarrier Compensation Reform Public Notice. Oct. 26 – Comments are due on Streamlining Complaint Processes NPRM. Oct. 30 – Comments are due on UI accessibility compliance deadline. Time RAMAT GAN, Israel & GERMANTOWN, Md.—(BUSINESS WIRE)—Mantaro Networks, Inc. and Beeper Communications Israel have formally received funding from The BIRD Foundation, to support their development of Unmanned Search and Rescue Systems (USRS.) The joint project aims to fill in “capability gaps” for first responders, as identified by Homeland Security and supported by the National Technology Plan for Emergency Response to Catastrophic Incidents. Project USRS has been awarded $900K in funding over an 18 month time-frame. “In an age where man-made and natural disasters have become global phenomena, it is important to integrate the various responders and their agencies, to minimize casualties and damage to infrastructure and private property. We are very glad that BIRD is investing in our development efforts to support first responders and provide the next generation of technology to these men and women” Moshe Levinson SVP, Beeper Communications. The companies state that a significant development of USRS will be the ability of autonomous operation of robotic unmanned devices and their cooperative action with First Responders, supported by broadband and resilient communication network. The project proposes new methods and algorithms for distributed-decentralised command and control of First responder teams and autonomous robots. The effective operation of autonomous robot will be enabled by communication infrastructure setup by Beeper. The successful completion of this project will produce wireless broadband infrastructure — the means to transfer large amounts of data utilizing a full spectrum of communication frequencies and optimization algorithms. 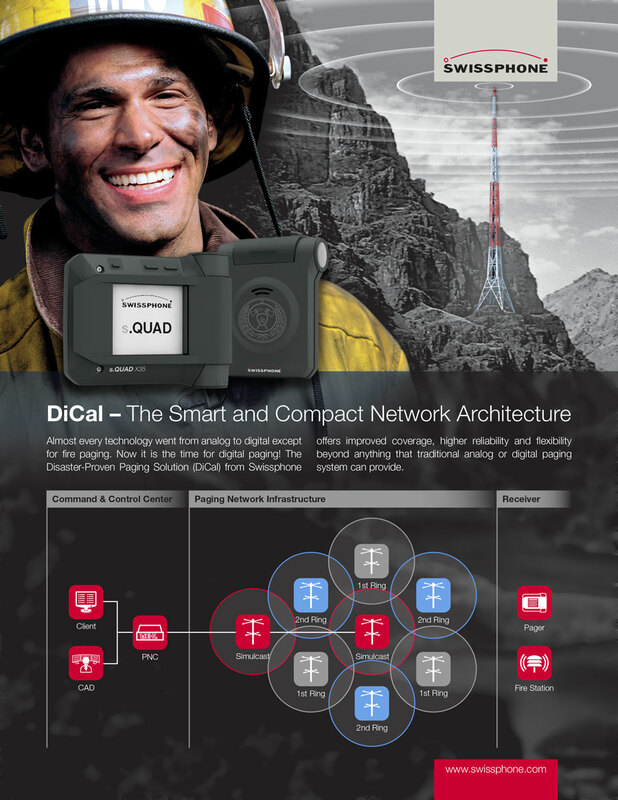 This high-bandwidth connectivity will enable easily exchange media-rich information with first responders teams at field and autonomous robots for remote monitoring of incident landscape in real time and FR progress status. Technically USRS will create the most effective and detailed Common Operational Picture (COP) for the responding agencies. The data from the field will be accessible and shared amongst varied agencies and eliminate interoperability challenges that exist currently. 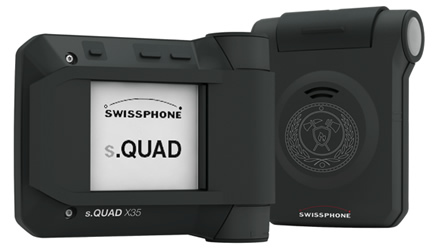 Additionally, the companies have entered into a commercial agreement with Safety Dynamics, Inc., an industry pioneer specializing in gunshot detection, camera and acoustic surveillance and other analytical sensory technology and warning systems. 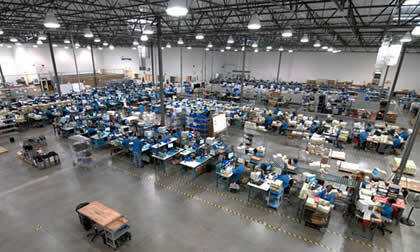 The company uses patented acoustic algorithms identifying the precise location with plus/minus 1 degree of accuracy. Alert and notification is delivered directly to the user within in less than 1 second of an event. The system immediately geo-locates the event and sends an alert to the user’s command center or Network Operations Center (NOC.). USRS will work to incorporate this patented technology into the UGV platform for security and enhanced COP for the system. Currently Safety Dynamics technology has been deployed in over 30 metropolitan areas in the United States. Project USRS will work with existing customers through the testing phases of development in order to gain direct feedback from target end users such as Police Departments. Of the initial candidates, Baltimore and Houston PD’s have expressed interest in direct participation. Attached are our draft reply comments in connection with the FCC’s proposal to impose additional construction requirements on geographic area licenses, requiring additional coverage even after the buildout obligation has been met. In proposing this requirement, the FCC is seeking to encourage advanced wireless broadband services in unserved portions of rural America. Smaller, rural carrier may not be able to meet added buildout obligations, since such carriers generally hold smaller licenses, and any unserved rural areas may be largely uninhabited or economically infeasible to serve. Plus, applying unforeseen coverage obligations may upend the business plan formulated ahead of the auction. And, if the commission choses to penalize carriers with spectrum take backs, then there is a risk that (a) investment will be stranded and (b) service to customers could be disrupted—especially if existing services have to be curtailed. The cost to participate in these comments is $175.00. The comments will be filed Monday evening, October 16. Interested clients should contact Richard Rubino at rdr@bloostonlaw.com or John Prendergast at jap@bloostonlaw.com. Please let us know if you experience any problems opening the attached file. To insure continued receipt of information from our firm via e-mail, please have your IT Team "White List" our e-mail address newsletter@bloostonlaw.com. We are thrilled to release our latest Song Around The World, “With My Own Two Hands,” by Ben Harper, part of a partnership with the international anti-poverty NGO, ATD Fourth World, and their #StopPoverty campaign. Wherever men and women are condemned to live in poverty, human rights are violated — but together, with our own two hands, we can build a world without poverty.